Frame Agreement for the provision of Int’l Freight Forwarding & Customs Clearance services for the delivery of Project Material and Equipment for the BS 171 site from EXWL Worldwide to Kuwait on DDP door–to-door import clearance included Kuwait. About 360.000 Freight Units from 2011 to completion of Project. 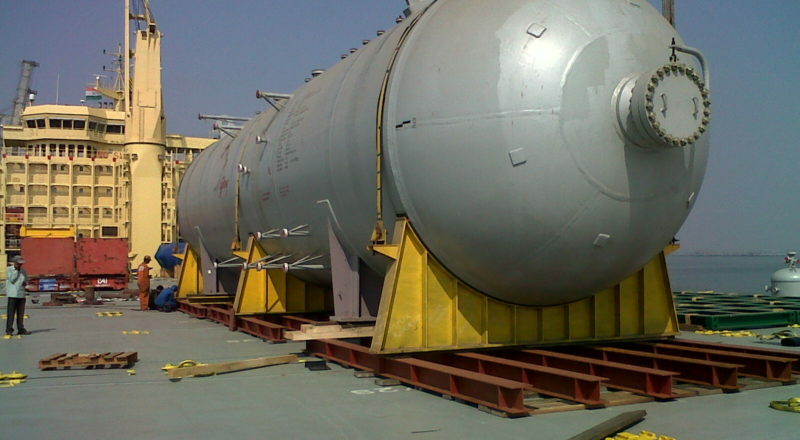 Example of breakbulk shipment inside the BS 171 frame agreement (image above): 2x 550mt vessels/tanks from FAS - FREE ALONG SIDE conventional Vessel, Mumbai, IN, to DDP Slutcatcher site Kuwait via Shaiba port.